August 28, 2014 / Modified aug 29, 2014 9:01 a.m. The one-week old African elephant born at Reid Park Zoo made her media debut this week. 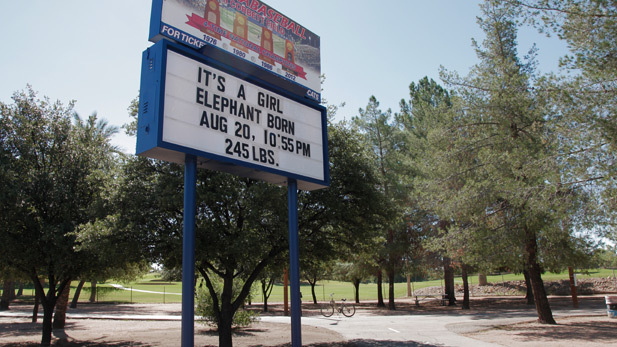 Arizona Public Media visited Thursday to capture video and images of the as yet unnamed pachyderm. Semba, a 24-year-old African elephant, gave birth the night of Aug. 20 after a 22-month pregnancy. Vivian VanPeenen, the zoo's curator of education, said the baby weighed 245 pounds at birth. During the first 72 hours, only essential staff members were granted access to the Elephant Care Center, while mom and baby formed emotional and physical bonds. 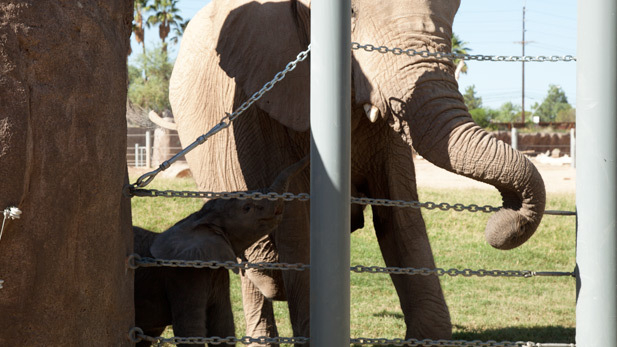 This was the first elephant birth in Reid Park Zoo and in Arizona, Van Peenen said. 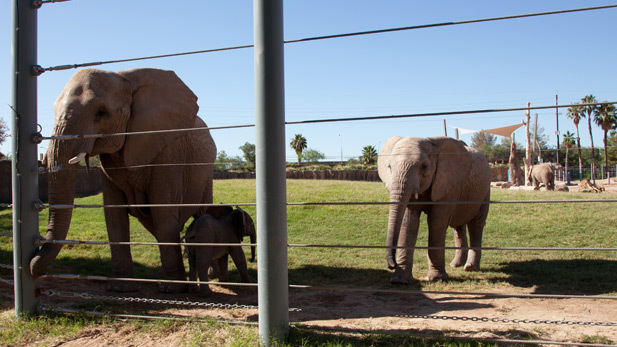 The elephant team at the zoo in Tucson has been charged with picking a name. Members of the community might be asked for input, VanPeenen added. Baby elephant at Reid Park Zoo. 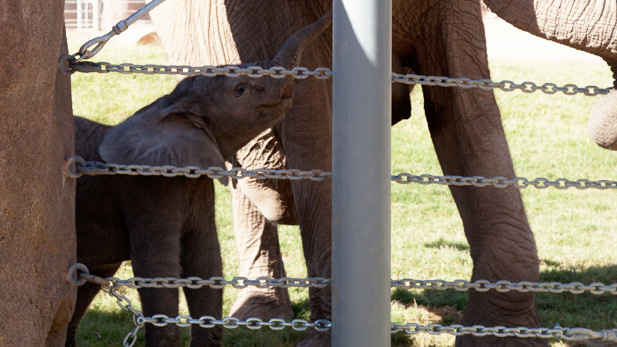 Semba with one-week-old baby elephant at Reid Park Zoo. Elephants' home at Reid Park Zoo. Baby elephant weighed in at 245 pounds last week.